Men's classic ultimate racing style leather motorcycle jacket with venting, reflector trim piping for night time riding, full sleeve zip out lining, A great new look with elastic stretch panels on sides and shoulders, silver antiqued hardware including rivets all over and zippers where they are needed. 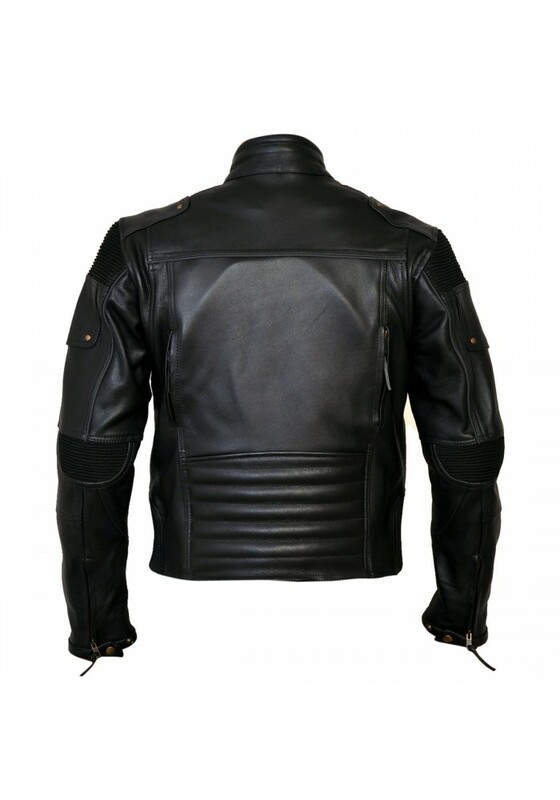 Features include a padded mandarin collar, leather wind flap behind front zipper, zipper front pockets, zippered cuffs to keep the wind out, leather elastic side stretch for comfort, full sleeve zip out lining with a soft nylon mesh lining underneath and made of premium grade top grain cowhide leather. 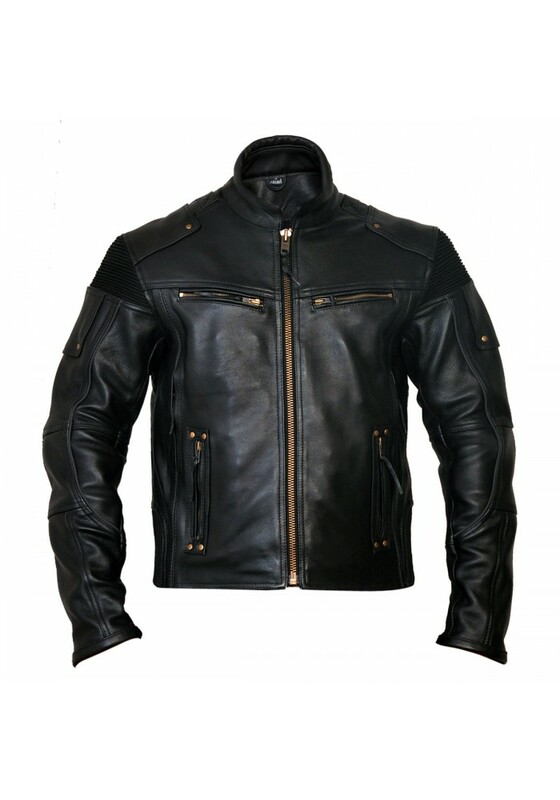 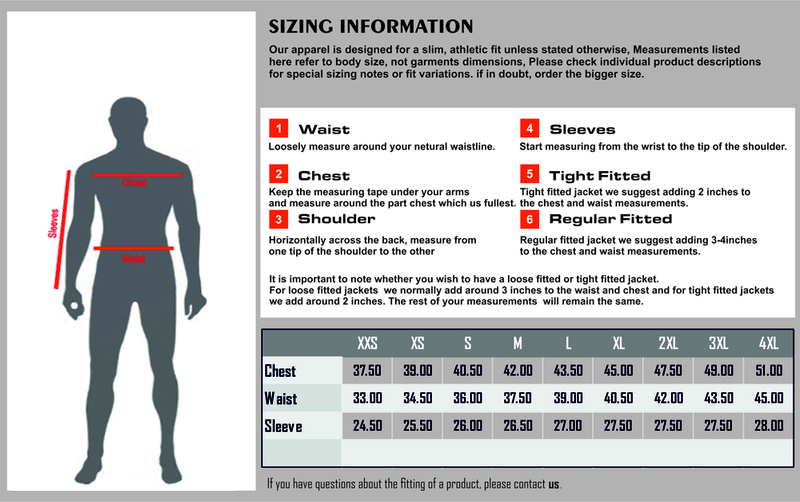 It can be used for bikers and casual wears.